Everyday life is full of lines. In the stories we share, from the old sagas to modern life anecdotes, the story lines define the course of the plot. 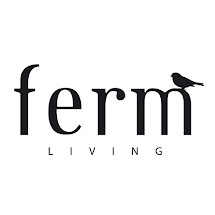 At ferm LIVING our design language is also full of lines – all telling a distinct story with a focus on simple aesthetics. This collection is a strong and colourful story with simple and decorative lines. Filled with well-crafted design and honest materials. We are constantly creating new lines and telling new stories. Welcome to the New Lines collection. This season we are focusing even more on the youngest members of the family as we are expanding our KIDS collection with brand new products – as well as we are building a separate communications platform dedicated to everything KIDS-related. This new universe ‘just for kids’ allows us to dive into a world filled with funny fable animals, mixed patterns and wonderful colour combinations with space for playing and daydreaming. Join our KIDS profiles at Instagram and Facebook to keep up to date!